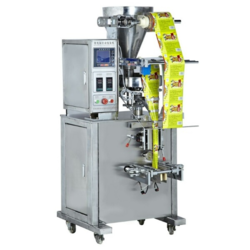 We are a leading Manufacturer of liquid packing machine, water pouch packing machines and oil and ghee packing machine from Faridabad, India. Our excellent range of Liquid Packing Machines is offered to the clients, as per their specific requirements. The entire range of machines offered by us is designed and made as per the industrial requirements, at our state-of-the-art infrastructure. Moreover, the machines offered by us are efficient in packing different variety of liquid material with ease. Looking for Liquid Packing Machine ?